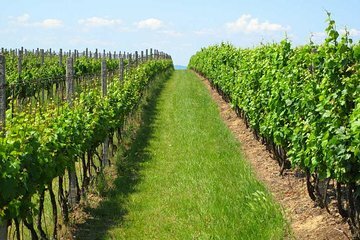 Although it may not jump to mind as a premier destination for wine, Uruguay boasts a long and proud history of family-farmed vineyards and wines crafted in the European tradition. Visit a local family vineyard and taste five wines, including the regional specialty of tannat, on this private 4-hour tour from Montevideo. This tour can be curated to suit your cruise or vacation schedule and includes transportation, a vineyard tour, wine tastings, and lunch. Passeio muito bonito, pontual e tranquilo. Ótimo atendimento na Bodega Marichal. Otimos vinhos. Excelente o atendimento do motorista que nos levou.